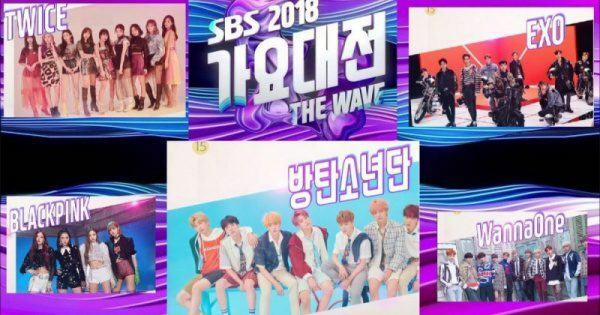 ‘SBS Gayo Daejun 2018’ was anticipated for its extravagant line-up. Tonight, SBS year-end music festival “SBS Gayo Daejun 2018” will officially happened with the appearance of many famous groups and artists. This is the first show of the big 3 broadcast station’s year-end music festival. This is the reason why the show is much anticipated by many audience in and out of Korea even before it starts. “SBS Gayo Daejun” this year is joined by more than 20 groups and artists: EXO, BTS, TWICE, Black Pink, Red Velvet, Wanna One, GOT7, G-Friend, MAMAMOO, SEVENTEEN, NCT, BTOB, MONSTA X, Sunmi, A Pink, WINNER, iKON, và MOMOLAND. Aside from the original songs of them, at “SBS Gayo Daejun 2018” there will be a series of special stage featuring members of different idol groups. At 13:30 (KST) this afternoon, the artists started the Red Carpet event. As expected, all eyes were on the 3 biggest girlgroup right now who are TWICE, BLACK PINK and Red Velvet. The 2 biggest boygroups EXO and BTS also appeared like kings. The performances of “SBS Gayo Daejun 2018” will start at exactly 17:30 PM (KST).